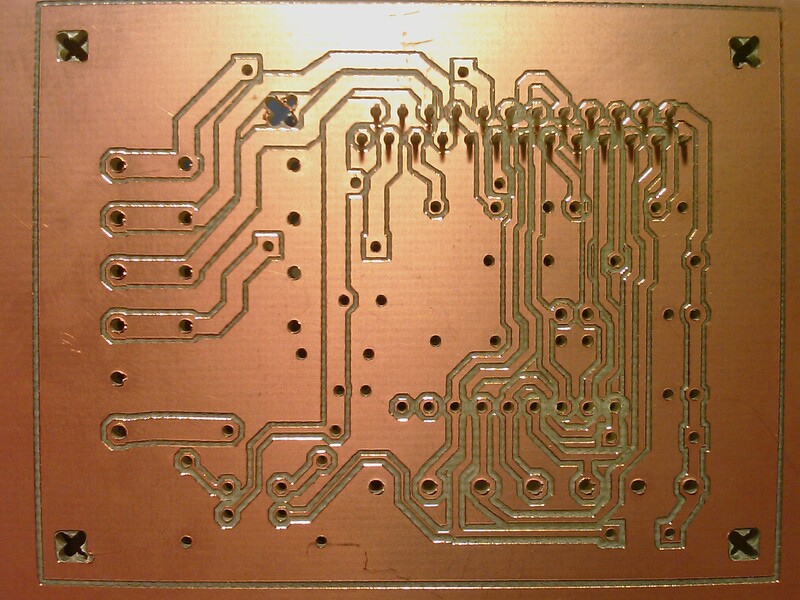 Two weeks ago I made print circuit board for a more advanced stepper motor driver, using the IMT-901. 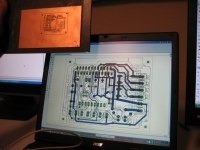 This is a chip that can drive power to the motor and control motion in a very precise way (micro stepping). It can in theory increase the precision of the machine from 0.125 mm to 0.0078 mm, or 7.8 micrometer. Of course the accuracy in practice is not in that range, but it will probably allow smoother motion and better detail of small features. A possible problem with the PCB might be that C4 (1000uF) is pretty close to R2, if R2 gets hot (not just warm, I mean hot), it can damage C4 in time (thanks for pointing this out, JosÃ©!). I like the IMT chip because it includes the logic an drives the power for the stepper, microstepping included. This board layout was nice because it can be made with single side copper (with just a few bridges needed). Microstepping could improve precision and remove a lot of vibration in the frame (loosening screws and noise). I hope it will make a difference! 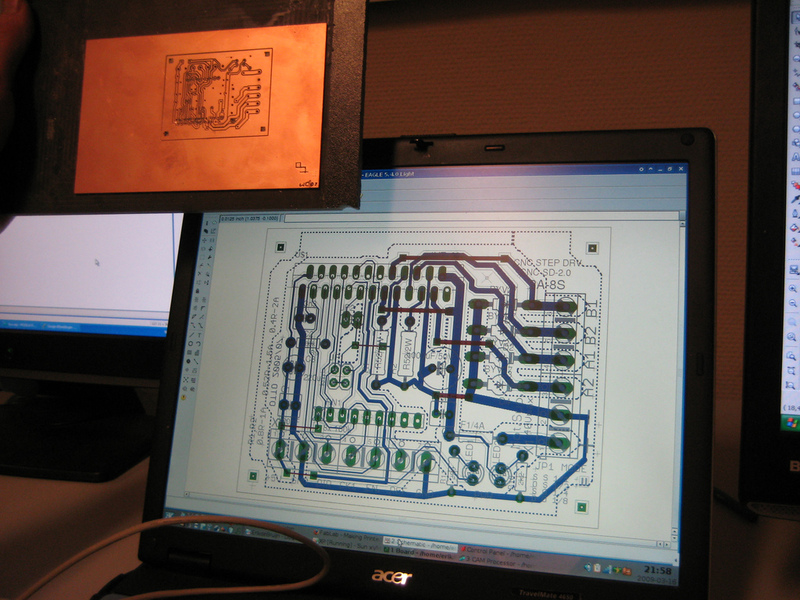 This is the PCB with the circuit design behind it on my laptop. 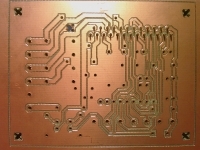 This is a close-up of the PCB. 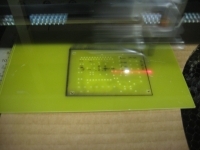 I used the epilog lasercutter to make the equivalent of a silkscreen. This way I know where to put which component and I will have a slight chance of success. Perhaps I’ll be working on it some more this evening! Next story Giving your RepRap a voice! Did you mill that on your Darwin, or something at FabLab? 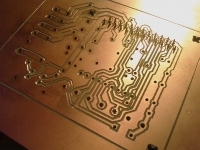 I did this one on the Modela in the FabLab. Yet I don’t have any working Atmega664P’s anymore, so my printer’s down again. Programming them with my LPT port programmer doesn’t work anymore.